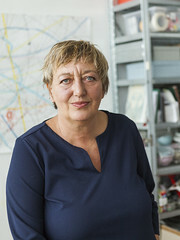 Dutch visual artist Yvonne Dröge Wendel has been awarded the Dr A.H. Heineken Prize for Art 2016. Dröge Wendel will receive a cash prize of EUR 100,000, half of which is meant to finance a publication and/or exhibition. 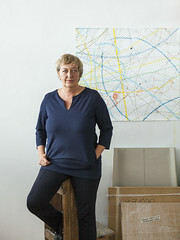 The international jury has praised Wendel’s work for its originality, inventiveness and vitality. The drive behind her work is tangible and visible in her playful, philosophical studies of how objects influence human behaviour. One notable example is the artwork Black Ball, a large felted ball measuring 3.5 metres in diameter, that the public moves down streets and alleyways and through gates and doorways. People respond with visible enjoyment to the ball and interact spontaneously with it. In her PhD research project, she is examining the relational and performative abilities of things, a theme that touches on present-day questions about our relationship to the world around us. 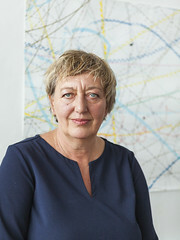 By awarding the Dr A.H. Heineken Prize for Art to Yvonne Dröge Wendel, the jury is emphasising the potential of art to change our perception and experience of the world. Download high resolution photos from our Flickr pages. Re-use of these photographs must be accompanied by proper attribution: Jussi Puikkonen/KNAW. 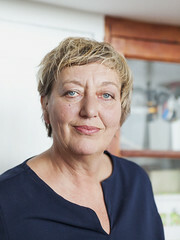 Yvonne Dröge Wendel (born in Karlsruhe, Germany, in 1961) lives and works in Amsterdam. She trained at the Gerrit Rietveld Academie in Amsterdam and was an artist in residence at the Rijksakademie in Amsterdam (1993-1994) and Delfina Studios in London (2002-2003). She is currently working on a PhD artistic research project at the University of Twente. 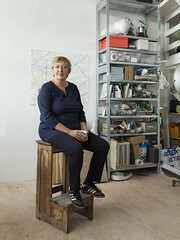 She is also head of the department of fine arts at the Gerrit Rietveld Academie. She publishes art books, features frequently in solo and group exhibitions, and engages on a regular basis with the public in public spaces. In 1994 she won the second Prix de Rome to be awarded in the fine arts and theatre.